No one understands children’s health like we do. To us every little thing counts. By focusing on the little things and specific health conditions, we help children to get back to being children again, so you can enjoy the little moments that can make a big difference. 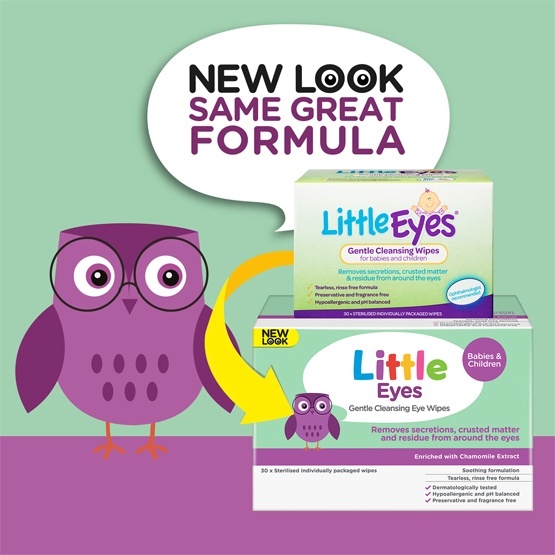 Little Eyes® gentle cleansing eye wipes provide a convenient way to clean and refresh your baby’s eyelids and lashes. The soft, absorbent wipes have been specially designed to remove ocular secretions, scales, crusted matter and residue from their lashes and delicate skin around the eyes. Little Eyes uses a unique embossed technology which ensures every wipe is silky soft while remaining thick and strong enough to clean away crusted matter.